The Ojai Foundation School was designed to serve as an educational and retreat center with a firm commitment to land stewardship and environmental awareness. This project represents a fusion of Sim Van der Ryn’s principles of ECO-LOGIC Design. The 12,500 sq. 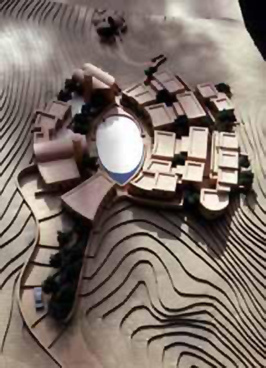 ft. village conforms to site contours and uses excavated site materials for rammed earth walls and appropriate technologies for cooling, heating and lighting.